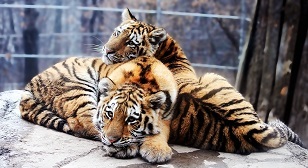 Tiger and tigris both are from same genus with particular taxonomic category. All living things have an ability to respond to their environment, which is also called stimulation. b) Plasmodium falciparum – A protozoan pathogen causing the most serious type of malaria. c) Felis tigris – The Indian tiger, well protected in Gir forests. d) E. coli – Full name Entamoeba coli, a commonly occurring bacterium in human intestine. Plasmodium falciparum – A protozoan pathogen causes the most serious type of malaria that is falciparum malaria. Musca domestica – House fly, an insect belonging to Arthropoda phylum. Felis tigris – The Bengali tiger, well protected in Sunderbans (Tiger reserve). E. coli – Full name Escherichia coli, a commonly occurring bacterium in human intestine.